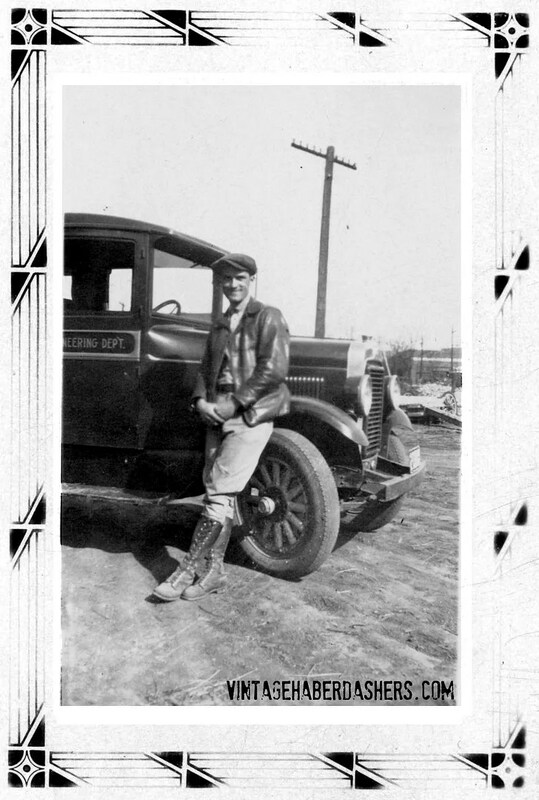 Here’s a c.1920s photo from my collection. I tell you, this guy has the look. 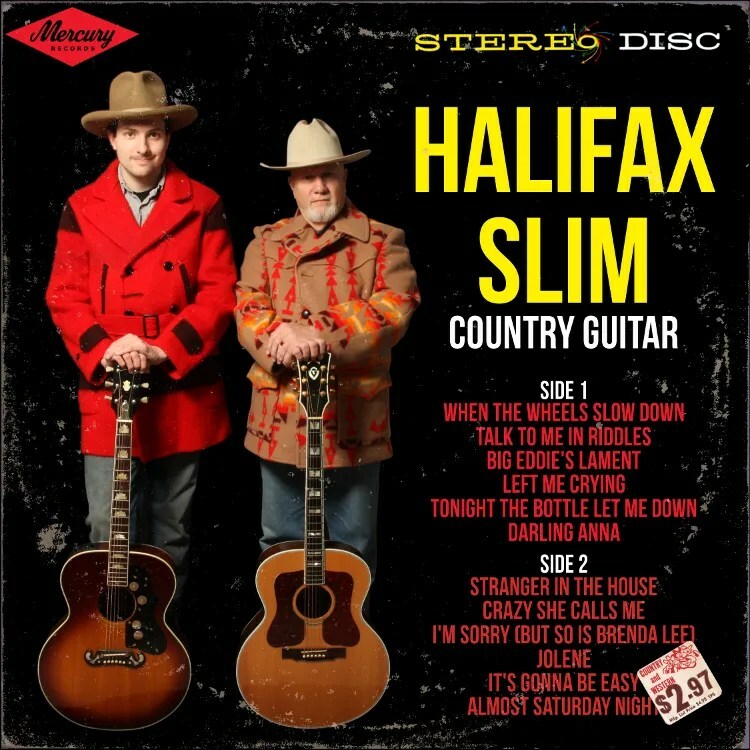 Cowboy hat and boots, chunky two-tone shawl collared pullover sweater, cuffed pants. Here’s a rugged vintage look for you all. Eight panel cap, leather jacket, tall lace up boots. This one I’m keeping for myself. It’s a Langlitz Columbia / California Highway Patrol style jacket. 7 pounds of leather. 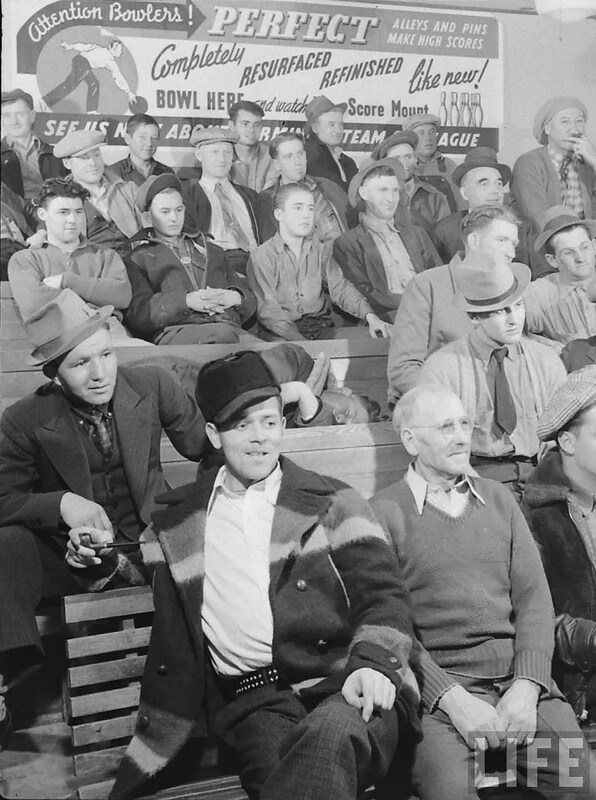 A lot of people out there buying modern high end reproductions of ’30s jacket styles talk about how authentic their jackets are. To prove this point they reference how their jackets weigh eight pounds and can stand up on their own, how they can stop bullets. 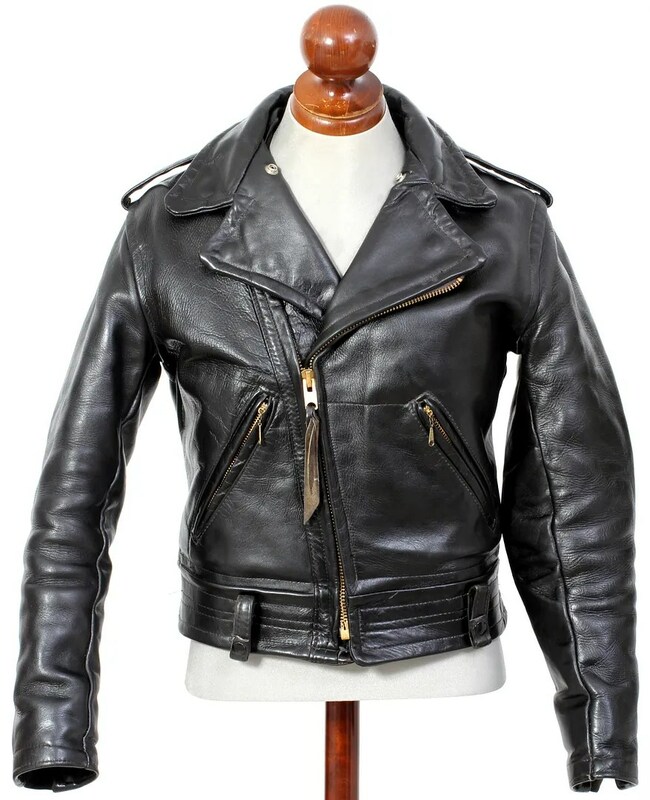 How anything that’s not made from the worlds stiffest 4oz horsehide is “mall jacket quality”. That kind of thing. The more I hear about this kind of thing, and the more original jackets I handle, the more I’m convinced these people have never seen an actual vintage jacket. Most of the vintage jackets I’ve handled clock in at three and a half pounds, post conditioning. The counterargument people will use against that is that they’ve lost moisture and therefore weight over the years, and I know that these jackets do. But they usually put on several ounces after conditioner is applied to bring them back to their original state, not four and a half pounds. Back to the jacket at hand. Like I say, clocking in at 7 pounds, which is a lot for such a short jacket, it’s almost uncomfortable to wear, so sizing is important. This one is a good fit for me, tight through the body, but not uncomfortably so. A big complaint I have with modern production motorcycle jackets I’ve tried on is their length. As with seemingly everything these days, they’ve become longer and longer, gradually lengthening to close to the length of a suit jacket. 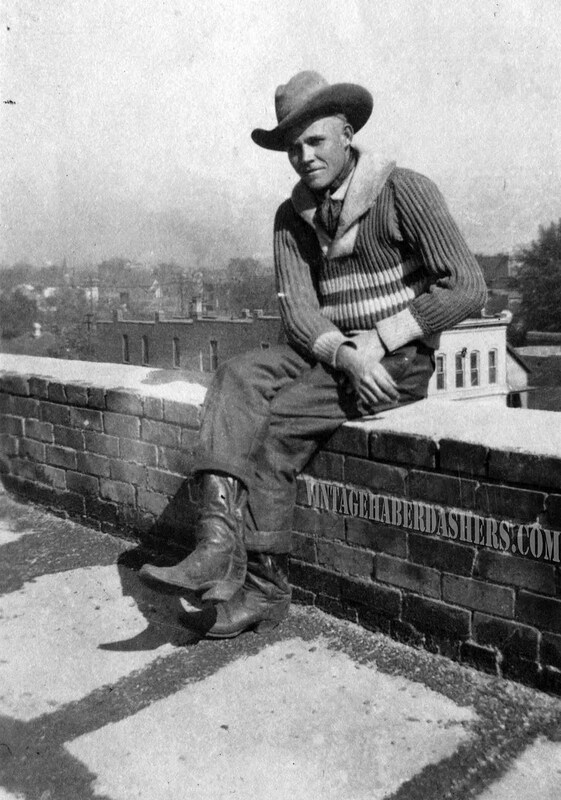 There was a reason that old utility jackets, denim jackets, and motorcycle jackets hit the wearer right at the beltline. When you sit down, or ride a motorcycle, or do anything that requires any action, a long jacket will either bunch up or ride up. 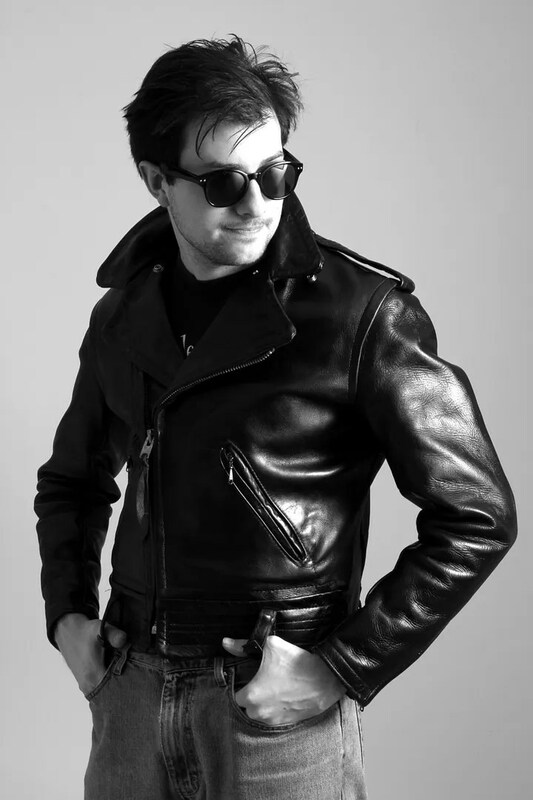 With a heavy leather jacket like this, the riding up scenario is more likely. With a jacket like this, the bottom of the jacket lines up just about with where you bend in the middle, which means no matter how you move, the jacket stays right where it should. Some modern jacket makers try to get around this length issue by putting a two-way zipper on their product, allowing the jacket to be opened at the bottom. It’s a good solution, but I fine that more often than not, makers continue the “V” shape of the jacket all the way to the bottom, which means (for me, at least) they are either uncomfortably tight across the hips, or that you have to size up, making them too baggy in the chest. Give me an old fashioned waist length jacket any day. 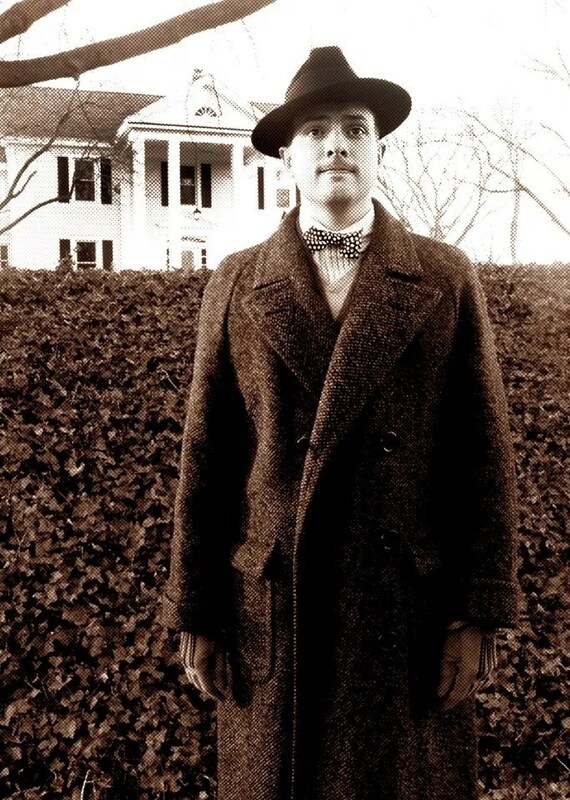 You may notice on the long half-belt jackets of the ’30s-’50s that the zipper starts a good six to eight inches higher than the bottom hem, and that on older suit jackets and overcoats, the button stance was higher. This allowed you, even with a longer length, to keep your jacket buttoned or zipped, keeping the cold and wind out. 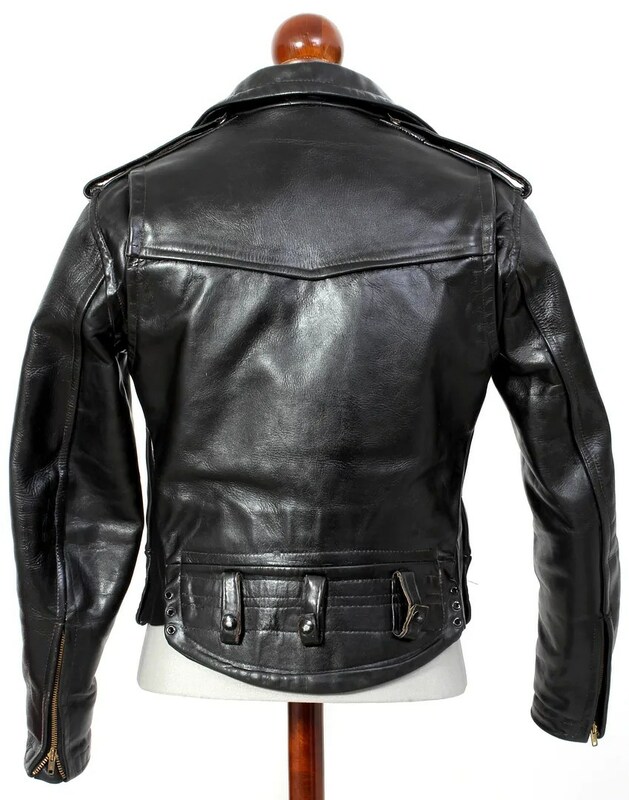 This jacket dates from the 1970s, and has a heavy gauge Talon main zipper. It has zipped sleeve cuffs with mouton panels at the end to keep a tight seal when fully zipped. I like my jackets on the simple side without a lot of hardware. It’s easy for a motorcycle jacket to get into punk or fetish territory in a hurry, especially one like this. For that reason, I like the concealed lapel studs, the simple pockets, and the un-fussy yoked back. It is well detailed, but practical, and thought out. I’m not in love with the belt loops, as I have no intention of wearing a garrison belt with it, but I can live with them. The jacket came with a snap on mouton panel, which covers the rider’s chest and throat while the jacket is worn with the lapels open. 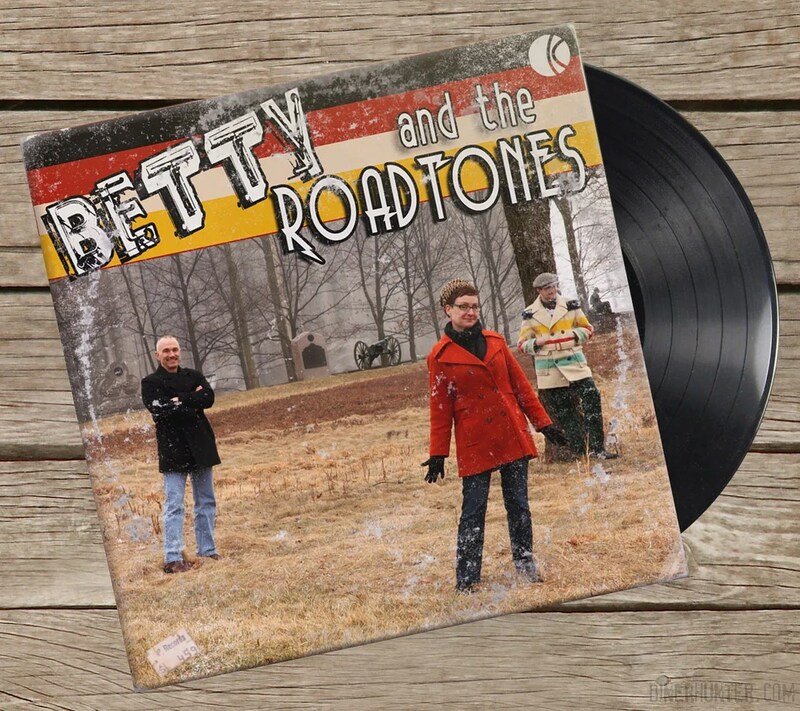 Live from the Cyclorama, Betty and the Roadtones! 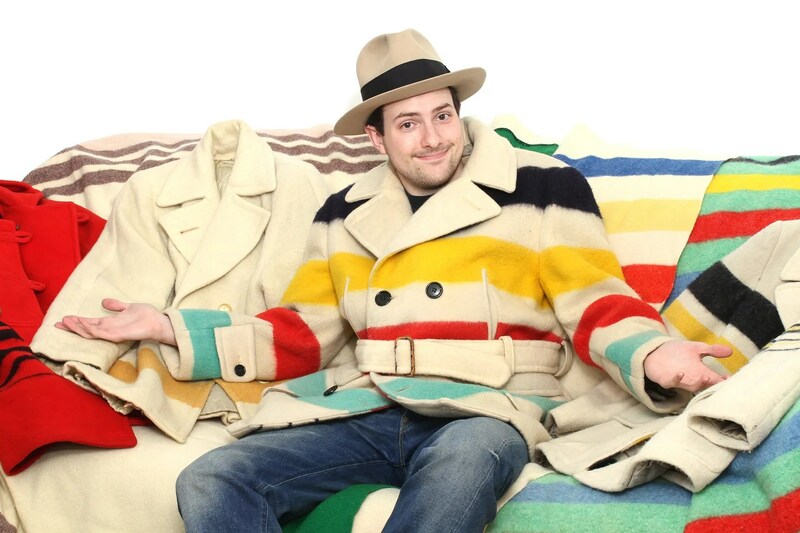 Made from Hudson’s Bay point blankets, these striped coats are iconically Canadian. The blanket design was introduced in the late 1700s by the HBC, and the material was soon adapted into coats by fur traders. Point blanket coats remained popular in Canada, first as utilitarian garments, later as fashion. 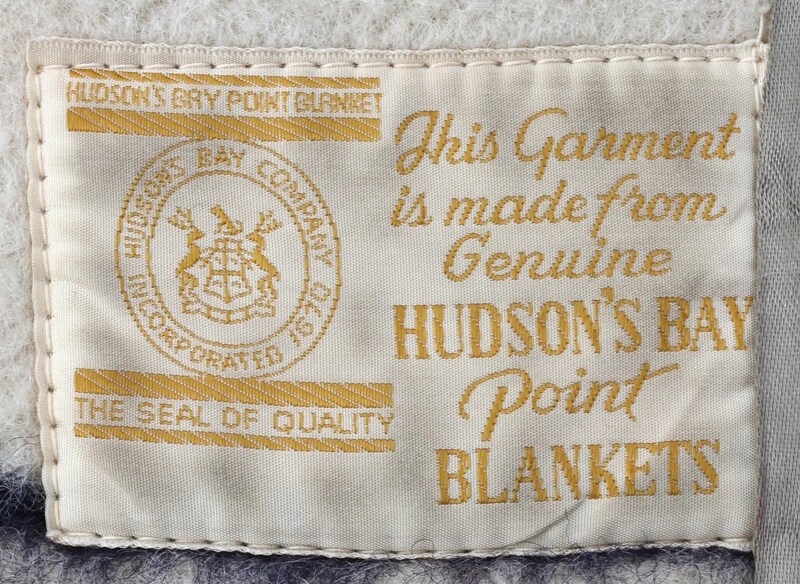 The true Hudson’s Bay blankets were made in England. 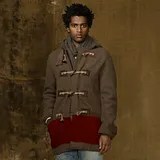 Some were tailored for and sold by the Bay, others, while they bear the fabric tag showing they were made from Hudson’s Bay blankets, were made into coats by and were retailed by third party companies, as is the case with the red Maine Guide coat pictured below. Right from the start, there were competitor companies with their own striped trade blankets, like Early’s Witney Point, Horn Brothers, Trapper Point, or Ayers. The list went on, each with their own variation on the basic striped scheme. Many of these also made their way into the production of coats and jackets. The classic 20th century point blanket coat is a double breasted, belted mackinaw style, though the fabric has been tailored into everything from a “perfecto” style motorcycle jacket to a pullover hoodie. 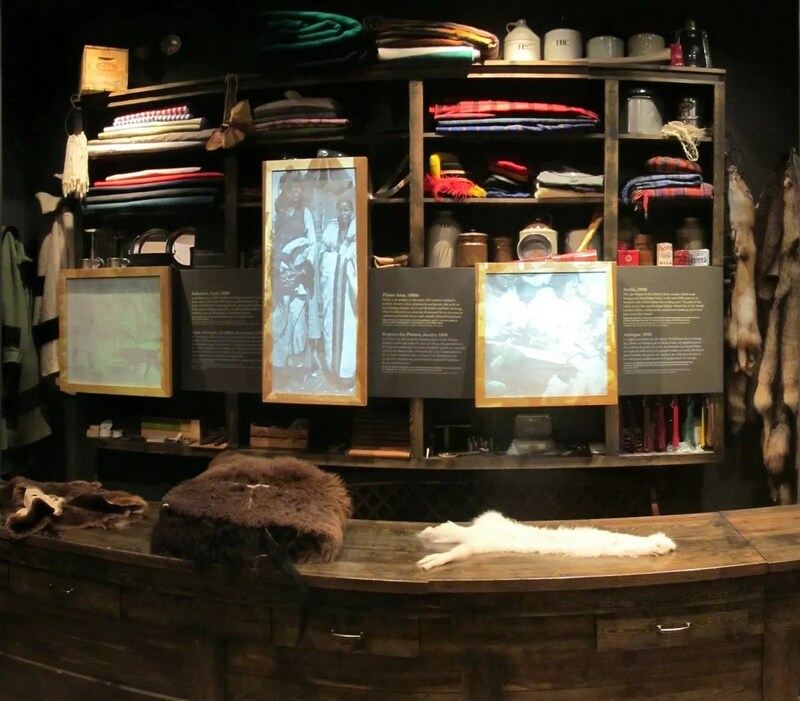 Recreation of HBC trading post, featuring point blanket capotes at left. 1960s Hudson’s Bay: Men’s shirt style. Also commonly seen in a women’s version. c.1950s/1960s Mac Mor: Company founded in 1951, based out of North York, Ontario. The bold patterns and bright colors of these blanket coats put them squarely into the “love it or hate it” category of vintage menswear, and outside of their native Canadian habitat can seem a bit out of context. 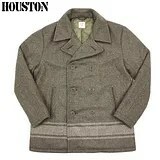 While they can seem a bit flashy by modern menswear standards, these coats came from a rugged outdoor tradition. Men’s striped blanket coats are still available from a variety of makers, but they seem to have shied away from the traditional vibrant colors, opting instead for more subdued earth tones and shades of gray. While the Hudson’s Bay Company still retails their blankets (they now sell between $370 and $580), in an odd twist, their former competitors in the camp blanket market are now working with them. 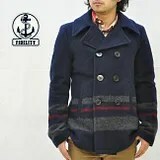 The material used in their current production blanket coats is made by Pendleton Woolen Mills. The blankets are distributed in the US by Woolrich Woolen Mills. Whether vintage or modern, find your inner Canuck and give a blanket coat a chance.